Every user gets 1GB free file storage on Easynote. This space is used to store anything that is important to you or your team. Keep project briefs, tenders, notes or anything that your project team needs as reference to complete your tasks. 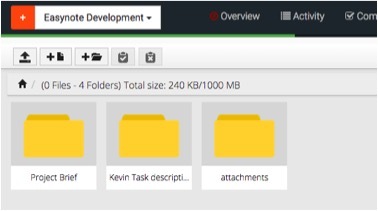 Folders can be created to manage these files. How do I add folders in file manager?